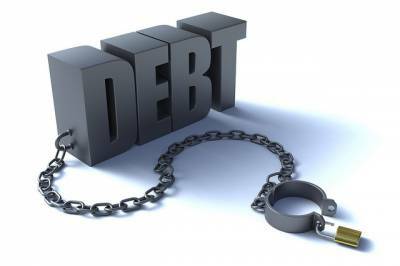 Figures published by the Citizen's Advice Bureau at the end of last year indicate that 51% of UK adults in employment with debt find that their performance at work suffers. 54% find it hard to concentrate at work and 36% find it difficult to do their jobs well due to debt. On top of that, 56% believe debt is affecting their relationship, 54% said it has affected their physical health, and 74% believe it has affected their mental health, with 51% experiencing panic or anxiety attacks and 79% regularly losing sleep!Chances are good then that debt will have a negative impact on your health and happiness, making it all the more important to clear your debts and become financially stable. The following tips should help you achieve this goal. Make a list of all your debts, how much you owe, who you owe it to, and sort the list by the rate of interest for each debt. You should pay off the debts with the highest interest rate first, regardless of the amounts. You need to know not only how much money you have coming in every month, but also where you are spending. Use free budgeting software to work out how much you can afford to repay each month, and identify areas of your spending where you could cut back by sticking to the budget. No more credit or borrowing until you pay back what you already owe. If you find you need a bit of extra cash, adjust your budget or find ways to save money by cutting back your lifestyle. Cash is easily spent and difficult to account for. Take the same amount of cash out of the ATM every week, and don't spend it unless you have to. By using your card whenever possible you'll be able to track and control your spending more easily. Setting up direct debit payments for your bills means you won't have to worry about missing a payment. As it's more convenient for you and your supplier, many utility providers will offer deals or discounted rates for using this method of payment. You can monitor all the debt payments using Money Dashboard financial management software. For many people your mortgage is your biggest expense each month and your largest debt. If you speak to an independent financial adviser or mortgage broker about remortgaging you might find a better deal, but be aware that there could be legal fees and transfer costs involved in the process, which might cancel out your savings. Store cards usually have a high rate of interest for credit, and the Office of Fair Trading advises reading the small print carefully. If you're still struggling and you're not sure what to do, the Citizen's Advice Bureau, Citizen's Advice Scotland and the StepChange Debt Charity offer free help and advice.